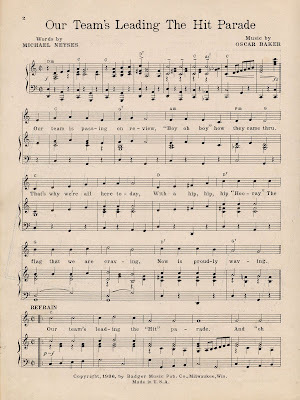 This little ditty, "Our Team's Leading the Hit Parade", serenaded the Milwaukee Brewers on their way to their third American Association championship. It's no "Go! You Packers Go! 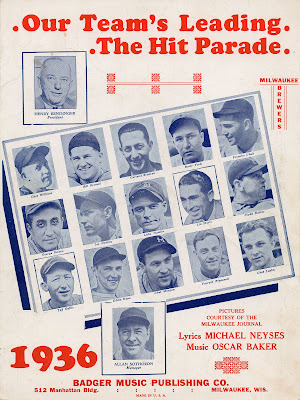 ", but with music by Oscar Baker and lyrics by Michael Neyses, it's a jaunty tune and appropriate for the team which would take home the American Association pennant for the first time since 1914. With a hip, hip hip "Hoo-ray"
Our team's leading the "Hit" parade. 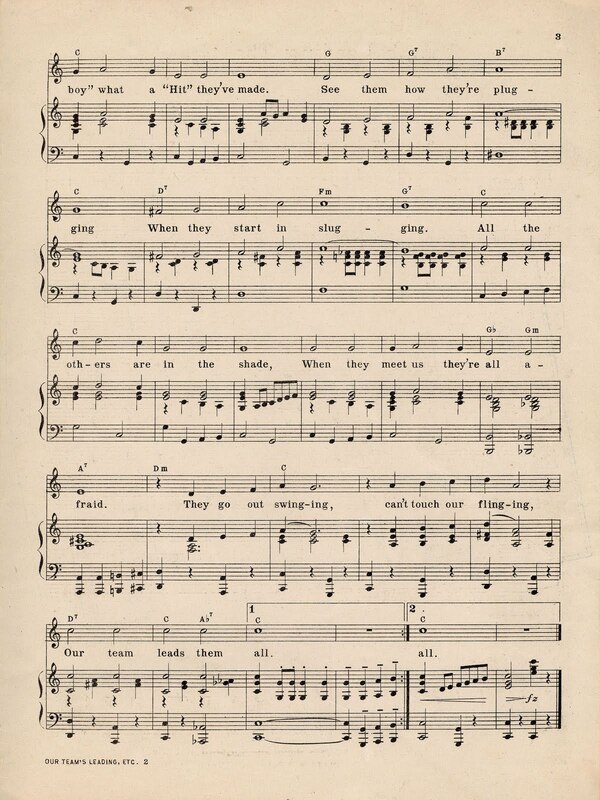 And "oh boy" what a "Hit" they've made. When they start in slugging. When they meet us they're all afraid. Our team leads them all. On the back, a series of ads from political candidates of all stripes. We have good wishes from Democratic candidates and Republican candidates, some for the same office. 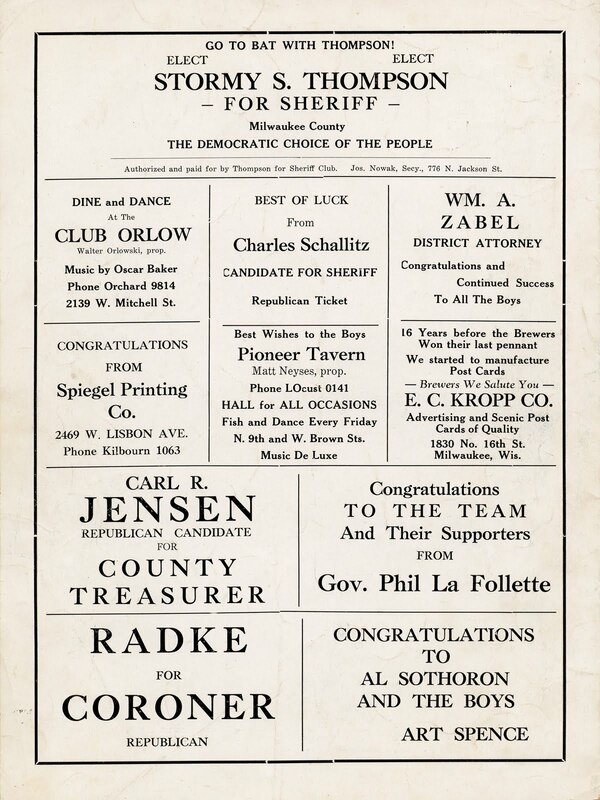 There's even a note from Wisconsin's Progressive governor Phil La Follette (son of "Fighting Bob"). 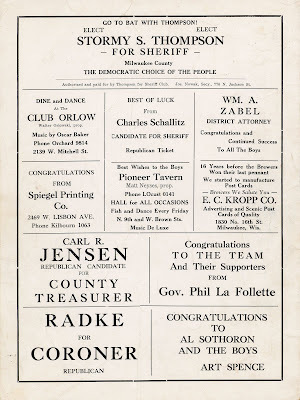 Stormy Thompson lost the Democratic nomination for sheriff on September 13 of that year, so that might help us date this copy of the sheet music. Perhaps we could go a little earlier; the Brewers won the American Association pennant on the 7th of that month. If the team had already claimed the pennant, I would expect to see that noted somewhere on the cover, but perhaps that's an unfair presumption. 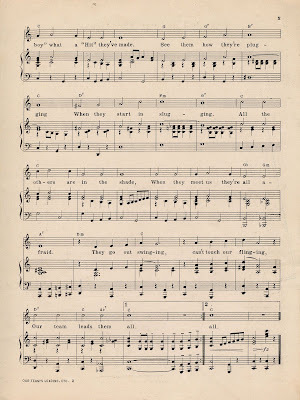 There is a copy in the Margaret and Franklin Steele Sheet Music Collection in Cooperstown's Baseball Hall of Fame and the Music Division at the Library of Congress. 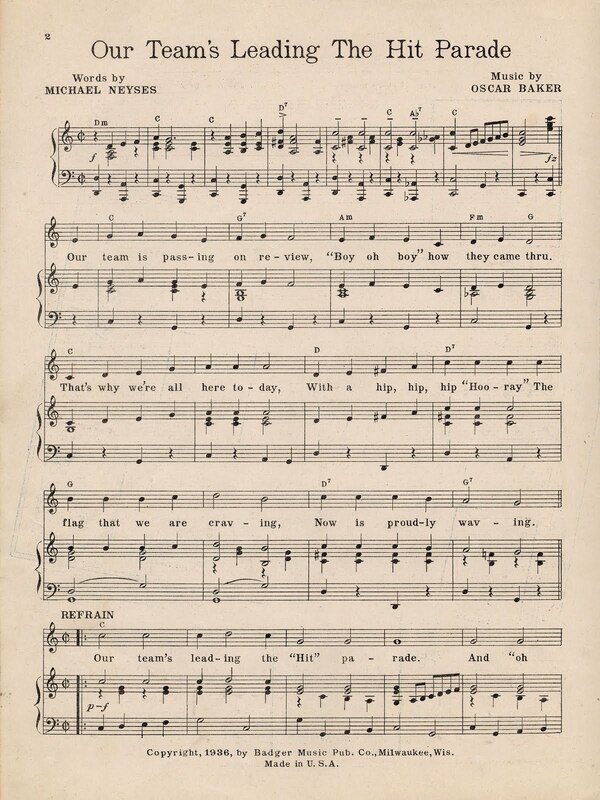 I can read music a bit, but would love to hear this piece, if we can work up a little five-piece band. Any takers?